San Francisco, CA, November 13, 2012 – VIZ Media, LLC (VIZ Media), the largest distributor and licensor of anime and manga in North America, invites fans everywhere to complete their holiday wish lists with a selection of new anime releases on DVD and Blu-ray that arrive just in time for the start of the 2012 shopping season. This year, holiday lists won’t be complete without the highly anticipated medieval action feature, BERSERK: THE GOLDEN AGE ARC I – THE EGG OF THE KING (also available on Blu-ray), the supernatural drama of BLEACH THE MOVIE: HELL VERSE (also available on Blu-ray), the beginning of the finale for INUYASHA THE FINAL ACT SET 1 (also available on Blu-ray), and the non-stop ninja adventure in NARUTO SHIPPUDEN THE MOVIE: THE WILL OF FIRE (also available on Blu-ray). Anime fans also won’t want to miss the DVD release of the POKÉMON BLACK & WHITE Box Set, Vol. 1 along with the latest action-packed episodic adventures featured in the BLEACH DVD BOX SET Vol. 15, and NARUTO SHIPPUDEN DVD BOX SET Vol. 12. Combining a foreboding medieval European-inspired setting with fantasy and exquisitely detailed swordsmanship, BERSERK: THE GOLDEN AGE ARC I – THE EGG OF THE KING follows lone mercenary, Guts, as he travels a land where a hundred-year-old war is taking place. His ferocity and ability to kill enemies attracts the attention of Griffith, leader of the mercenary group “The Band of the Hawk,” and Guts is recruited to the unit. Thanks to their continued victories on the battlefield, the bond between Guts and Griffith deepens, but despite all their success, Guts begins to question his reasons for fighting for Griffith’s dream. Unknown to Guts, this unyielding dream is about to bestow a horrible fate on them both. The beginning of the epic Golden Age Arc Trilogy! Kagome is an ordinary schoolgirl who finds her destiny linked to the half demon Inuyasha and the powerful Shikon Jewel. In their quest to restore the shattered Shikon Jewel, Inuyasha and Kagome face their ultimate enemy, the demon mastermind Naraku. Meanwhile, Sesshomaru learns the truth behind his sword Tenseiga, and Kikyo discovers a secret that could defeat Naraku! With the jewel nearly complete and in enemy hands, the race to collect the remaining shards intensifies, and an epic battle is brewing on the horizon! Box Set contains episodes 1-12. With Sosuke Aizen intent on destroying Karakura Town, the Soul Reapers fight to protect the four pillars placed by the Head Captain to replace the real Karakura Town with a fake one constructed in the Soul Society. When the Fracción Poww nearly destroys one of the pillars, the real Karakura Town slowly begins to return to the World of the Living. If it fully returns, the Soul Reapers will be unable to fight! Box Set contains Episodes 218-229. NARUTO SHIPPUDEN THE MOVIE: THE WILL OF FIRE · Rated “T” for Teens · MSRP: DVD: $19.98 U.S. / $24.98 CAN; Blu-ray: $24.98 U.S. / $27.50 CAN · Now Available! In the latest NARUTO feature film, four ninjas with Kekkei Genkai justsu abilities that have been guarding the Hidden Villages of Cloud, Stone, Mist and Sand mysteriously disappear from their respective villages. The Land of Fire comes under suspicion as it is the only country to have suffered no loss. Mounting suspicion among the four countries could potentially set off the 4th Great Ninja War. In the Hidden Leaf Village, Tsunade orders her men to keep strict guard and to try to find out what really happened. At the same time, it turns out that Kakashi has left the village. The bad news deeply disturbs Naruto and his friends. NARUTO SHIPPUDEN DVD BOX SET Vol. 12 · Rated “T+” for Older Teens · MSRP: $49.95 U.S. / $43.24 CAN · Now Available! At the Akatsuki hideout, a weakened Sasuke hears the history of the Uchiha Clan from Madara and learns Itachi's true intentions. Meanwhile, Kakashi and Naruto, having lost the trail, must abandon their mission to capture Itachi and find Sasuke. The team is heading back to the village when an urgent assignment comes in from Tsunade that will lead them on a perilous journey to protect a young woman! Box set features Episodes 141-153. A new land, new rivals, new challenges, and all-new Pokémon make the 14th season of the Pokémon animated series one of the most exciting ones yet! When Ash and his mother accompany Professor Oak to the distant Unova region, Ash discovers Pokémon that he’s never seen before… and that he can’t wait to catch! He may have Pikachu at his side together with new friends Iris and Cilan, but he’ll still need plenty of new Pokémon on his team if he wants to challenge Unova’s expert Gym Leaders. His quest to become a Pokémon Master just got even tougher! Box Set features Episodes 1-12. For more information on these and other anime titles available from VIZ Media, please visit: www.viz.com. Headquartered in San Francisco, California, VIZ Media distributes, markets and licenses the best anime and manga titles direct from Japan. Owned by three of Japan's largest manga and animation companies, Shueisha Inc., Shogakukan Inc., and Shogakukan-Shueisha Productions, Co., Ltd., VIZ Media has the most extensive library of anime and manga for English speaking audiences in North America, the United Kingdom, Ireland and South Africa. 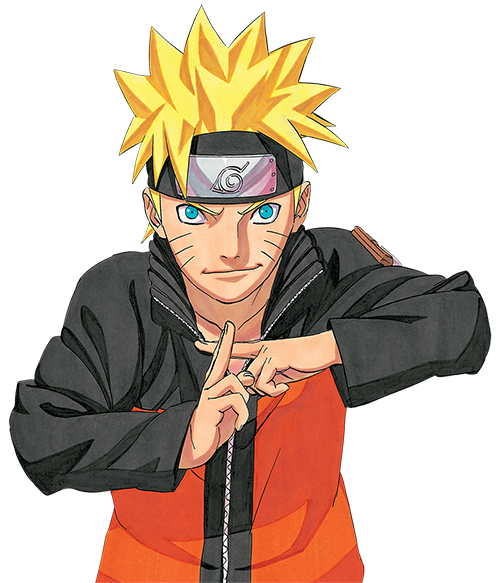 With its popular monthly digital anthology WEEKLY SHONEN JUMP ALPHA and blockbuster properties like NARUTO, BLEACH and INUYASHA, VIZ Media offers cutting-edge action, romance and family friendly properties for anime, manga, science fiction and fantasy fans of all ages. VIZ Media properties are available as graphic novels, DVDs, animated television series, feature films, downloadable and streaming video and a variety of consumer products. Learn more about VIZ Media, anime and manga at www.VIZ.com.